‘America’s Got Talent’ Asked Lindsey Stirling To Compete Again. Here’s What She Said. ENTERTAINMENT 12/19/2018 10:47 am ET The former contestant and violinist's jaw dropped. By Lauren Moraski Lindsey Stirling appeared on Season 5 of “America’s Got Talent” ― a whopping eight years ago. Since competing on the show, she’s gone on to tour the world and amassed more than two billion views on YouTube. Last year, she snagged the best-selling new Christmas album with “Warmer in the Winter.” But recently, the producers of “America’s Got Talent” gave her a ring, she said. 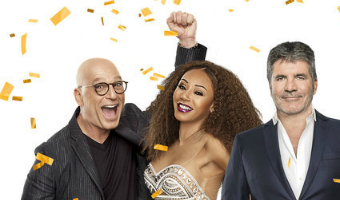 They wanted Stirling to return to the “AGT’ stage to compete in “The Champions,” a spinoff of the variety competition, which finds previous contenders from seasons 1 - 13 facing off against one another. “It was really funny because they called me, and I thought maybe they wanted me to be a guest performer or something and I literally, my jaw kind of dropped,” she told HuffPost at Build Series. … [Read more...] about ‘America’s Got Talent’ Asked Lindsey Stirling To Compete Again. Here’s What She Said. ‘America’s Got Talent’: Did British teen rocker win the finale? (L-R) Gene Simmons, Paul Stanley, Tommy Thayer, Eric Singer during the ‘America’s Got Talent’ finale. (Trae Patton/NBC) (L-R) Gene Simmons, Paul Stanley, Eric Singer, Tommy Thayer during the ‘America’s Got Talent’ finale. (Trae Patton/NBC) (L-R) Tyra Banks and Gene Simmons during the ‘America’s Got Talent’ finale. (Trae Patton/NBC) (L-R) Gene Simmons, Paul Stanley, Eric Singer and Tommy Thayer during the ‘America’s Got Talent’ finale. (Trae Patton/NBC) (L-R) Gene Simmons, Tyra Banks, Paul Stanley and Tommy Thayer during the ‘America’s Got Talent’ finale. (Trae Patton/NBC) Bebe Rexha during the ‘America’s Got Talent’ finale. (Trae Patton/NBC) Bebe Rexha during the ‘America’s Got Talent’ finale. (Trae Patton/NBC) (L-R) Glennis Grace and Bebe Rexha during the ‘America’s Got Talent’ finale. (Trae Patton/NBC) … [Read more...] about ‘America’s Got Talent’: Did British teen rocker win the finale?